This Hummus is quick, easy and is sure to please every kind of person. Spend only 5 minutes preparing it and serve with all kinds of colourful accompaniments! 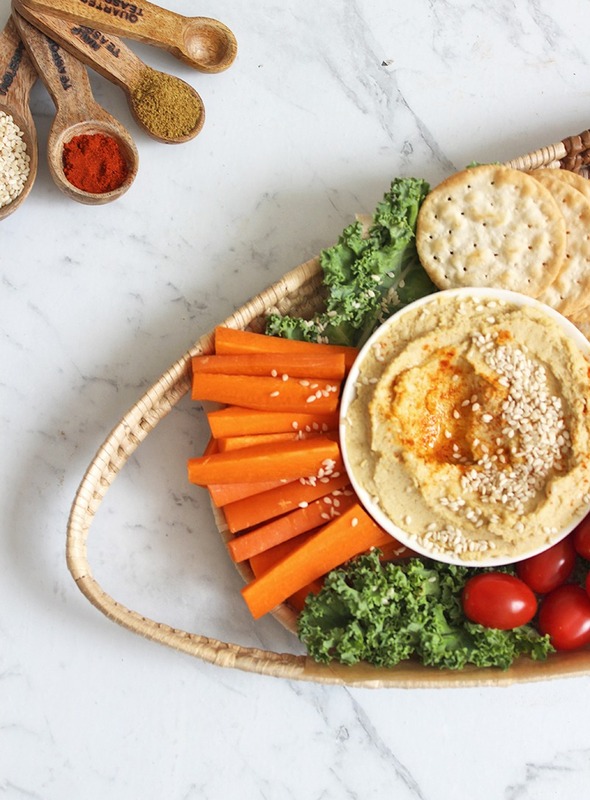 A good ole’ traditional style hummus is a must for any platter. Sure the flavoured hummus may be new and exciting at first but the original is always a good staple to have on offer as well. This recipe, in particular, is super quick and easy to make and tastes deeeeelish! We recently took some on a small road trip to the beach along with crackers, carrot sticks and celery sticks. It was tasty and satisfying enough to snack on throughout the day without being tempted in the slightest to cave in and get the ever popular Aussie beach meal: hot chips. 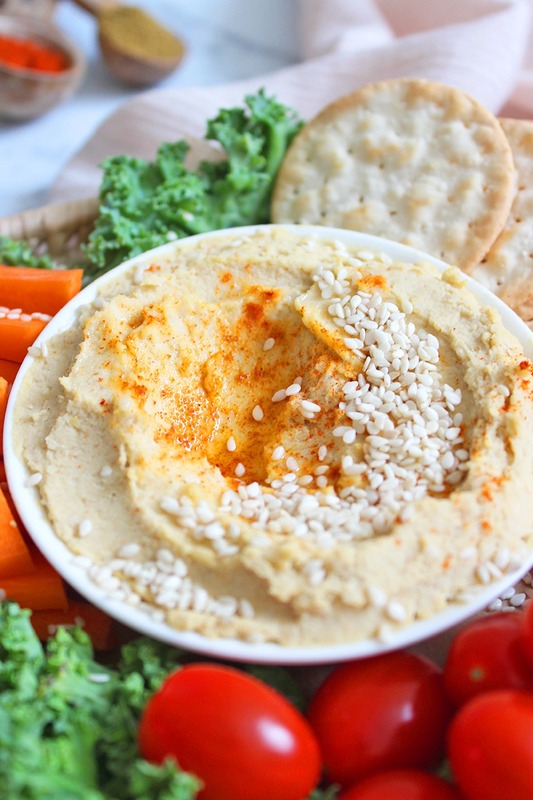 This hummus is creamy, smooth, salty, soft and tangy! We like to have some in the fridge at all times to snack on throughout the day, it’s much healthier than reaching for something more sugary. Not that we don’t love our sweet treats, but all in moderation! To make this Easy Hummus, simply start by draining the water from your can of chickpeas. You can save this if you like and use it to make aquafaba recipes such as vegan meringue and vegan whipped cream. Rinse all the bubbles from the chickpeas to make them easier on your digestive system and then add them to a food processor. If you only have a blender, that will work well too as this recipe is fairly soft and easy to blend. Add some lemon juice, garlic, tahini, salt and ground cumin. Now blend until you’ve found a creamy consistency that you like. Drain and rinse the can of chickpeas and add them to a food processor. Add all other ingredients into the food processor and blend until everything has come together smoothly. If you’d like your hummus to be a creamier consistency, add a tiny amount of water and blend again until you’re happy. 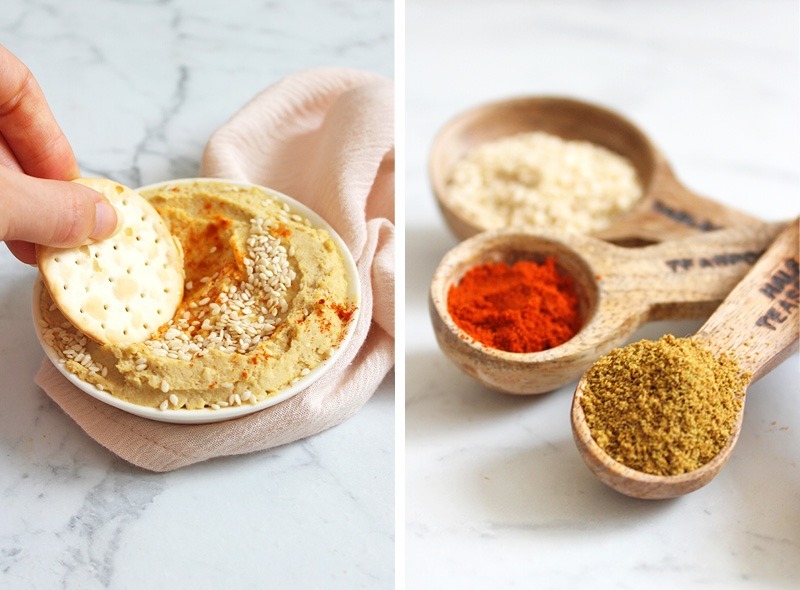 Transfer your hummus to a serving dish and dust with paprika and sesame seeds. Enjoy! 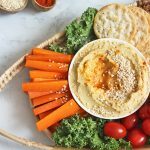 I LOVE a quick hummus recipe! 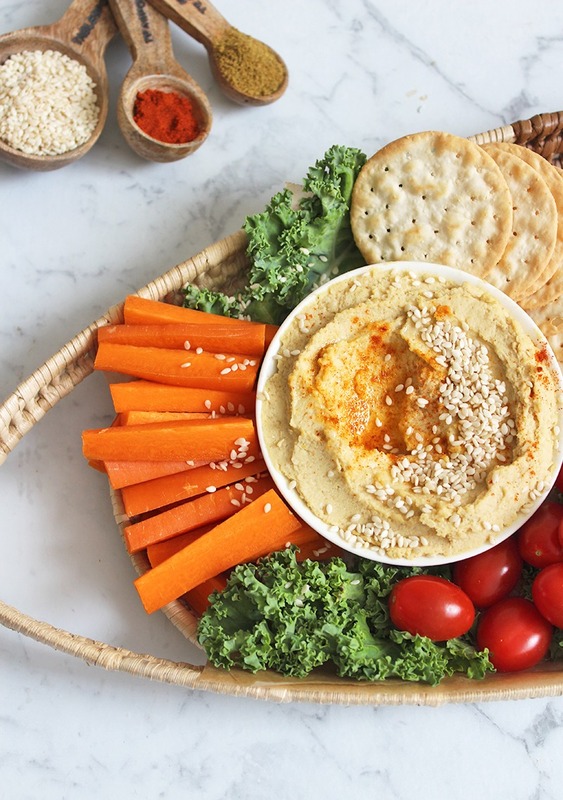 I always have hummus in my fridge too, but nothing’s better than homemade! You are so right, homemade all the way!